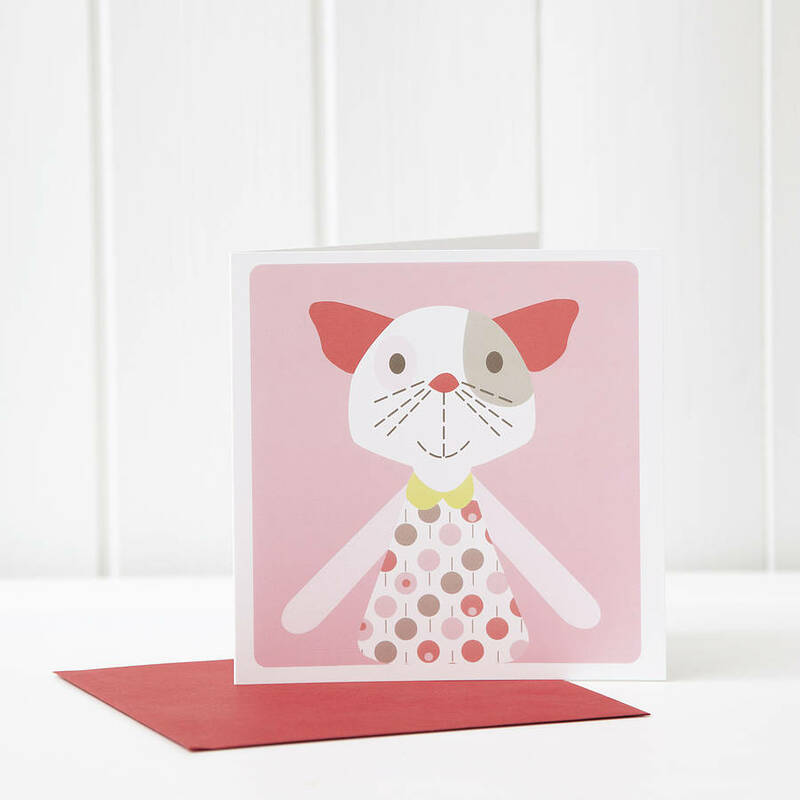 This cute cat card is inspired by our successful rattle toy range with quirky and bold designs in strong colours. 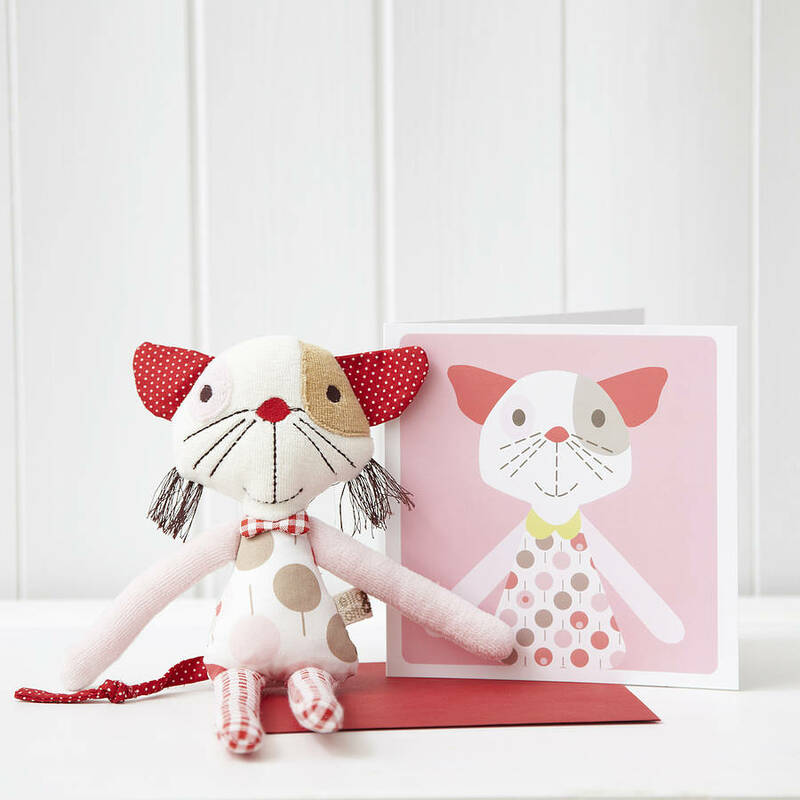 The unique printed girls greeting card is perfect for a birthday, a new born baby, as a thank you card or for any cat lover! 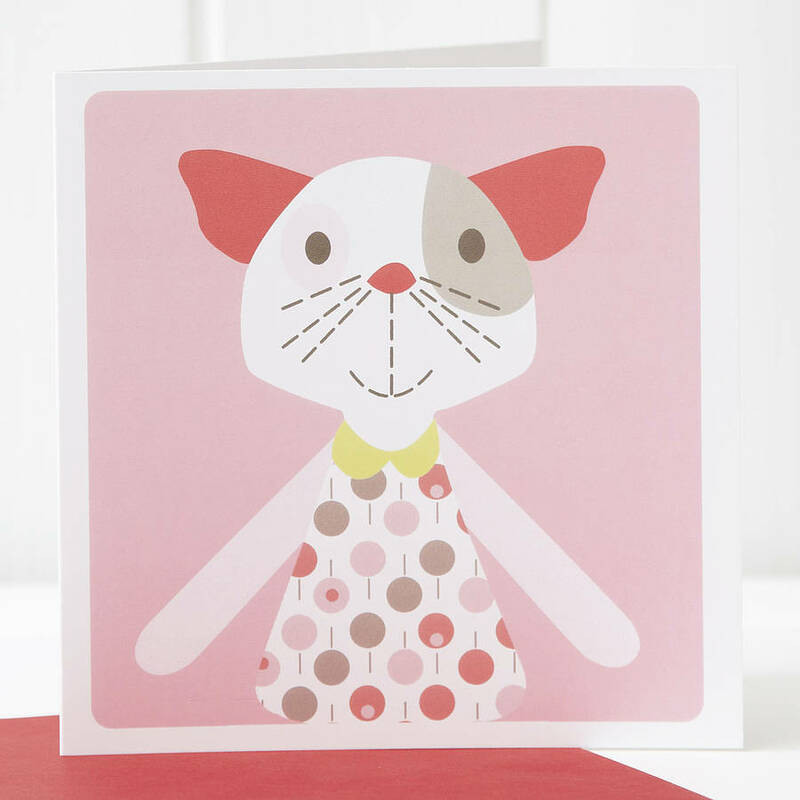 This card with its friendly cat image can be used for any occasion. You can choose to buy only one unit of the greeting card or a pack size of 3 cat cards. You can also buy the corresponding rattle to go with the card. 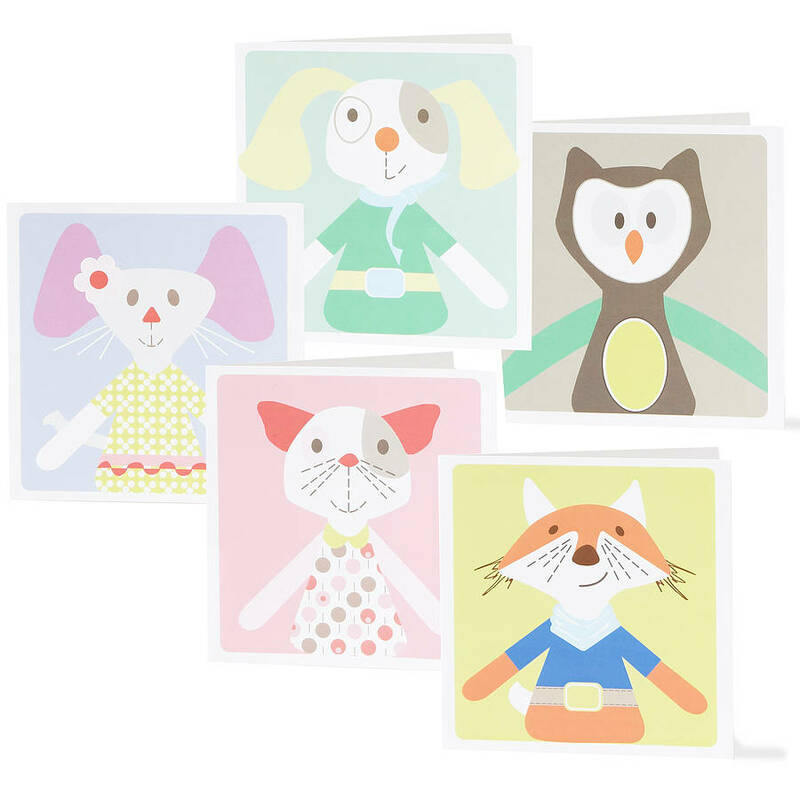 If you like to get a selection of all our animal cards you are able to choose that as well. This card (or gift set if chosen) can be sent directly to the recipient. The card will then be neatly handwritten by us and sent in the envelope to the delivery address as you have provided at checkout. Luxury 300 gsm super smooth card stock is used and cello wrapped individually. The card comes with a solid coloured envelope.